This is a checklist that aligns to the Go Math Chapter 2 Diagnostic Interview. 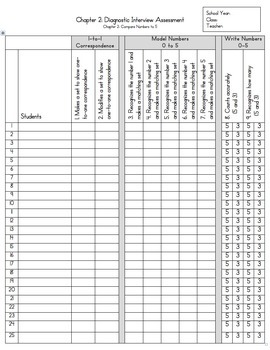 It is a great way to check off if students mastered the skills and in which areas they need reteaching and support through games and various activities. You can modify to plug in your students names.